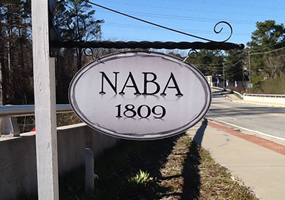 NABA – Located at 1809 Briarwood Road, NE Atlanta, GA 30329-1605 — the NABA Club is a non-profit organization located in Northeast Atlanta whose primary goal is to offer a safe haven for anyone who wishes to recover from alcoholism. 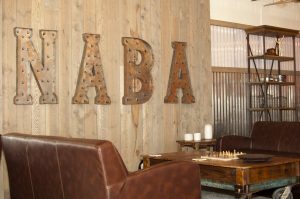 The NABA Club is a non-profit organization located in Northeast Atlanta whose primary goal is to offer a safe haven for anyone who wishes to recover from alcoholism. NABA hosts over 40 different AA, Al-Anon & Alateen meetings a week. There are several meeting rooms including a large room for speakers meetings and other events. Downstairs we have a members-only club house. All are invited to join us for dinner every Thursday night. We regularly hold events such as special meetings, events and the well-known Coffee House – a night of music and entertainment. Our website has a Meeting schedule for AA, Al-Anon & Alateen meetings, opportunities for Fellowship including upcoming events, and the Thursday night dinner menu. There is information about Membership and how to become a member and take advantage of all NABA has to offer (Note: AA, Al-Anon and Alateen meetings held in the NABA Clubhouse are open to everyone!). You can pay your Membership dues or make a Donation online. There is information about NABA and the history on AA in Atlanta on the About page. You can contact the NABA staff or find a map and directions to NABA on the Contact page.